There are a few places in Tenerife which are an absolute must to visit. El Teide and Masca are definitely at the top of the list. 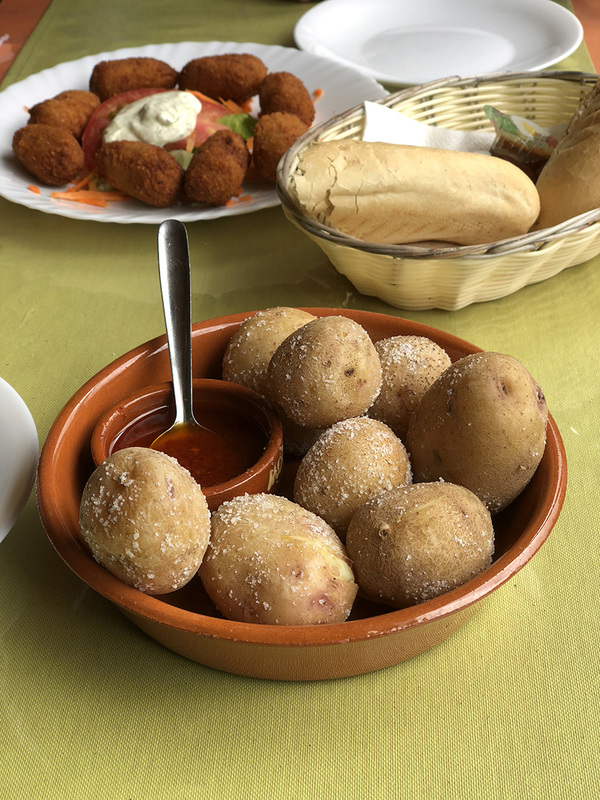 I already wrote about the extraordinary experience of the Day trip to El Teide, where I cover all necessary information you need to make the most out of it. Now, it's time to go to Masca. 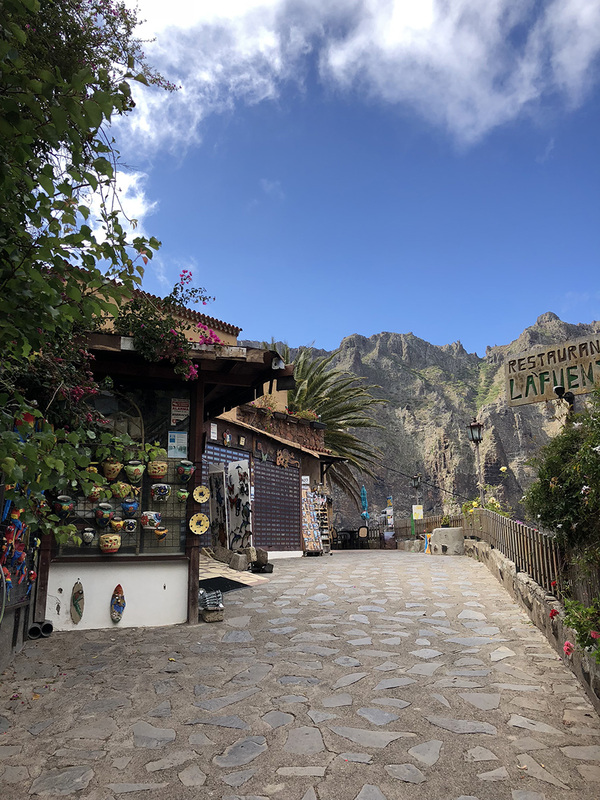 Unless you want to do some hiking in Masca Valley as well, visiting Masca isn't for the whole day. 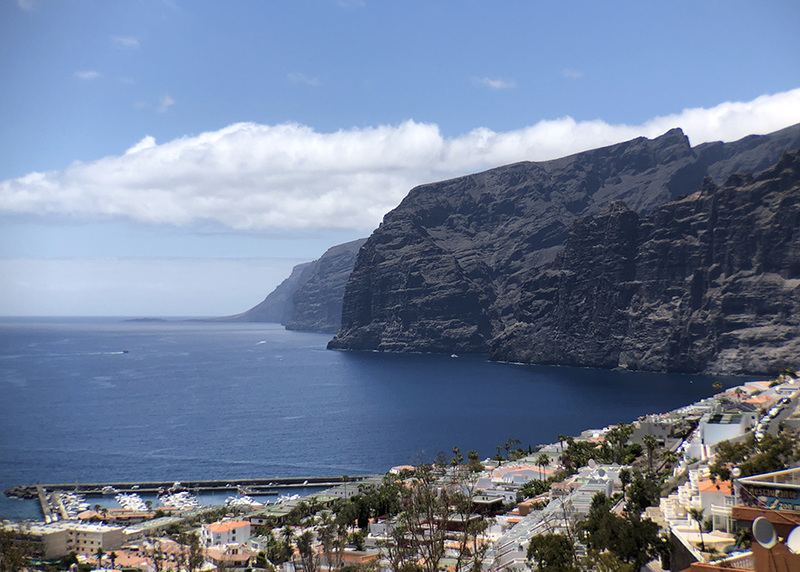 That's why we decided to include seeing the cliffs of Los Gigantes on the same day. I believe that's the best combination for the day trip to this part of Tenerife. Masca is a small village in Tenerife. It has only around 90 inhabitants and only a few houses. However, it is one of the most beautiful villages on the island and probably in the Canary Islands. 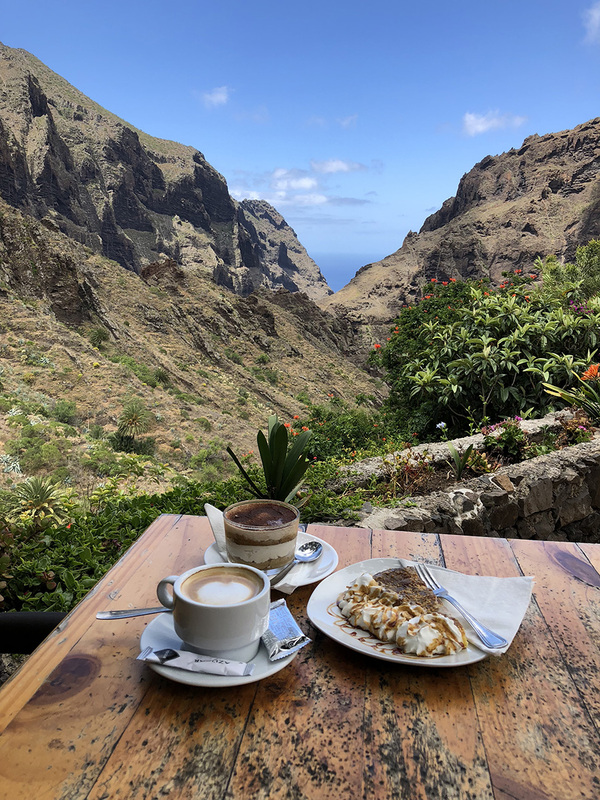 Why should you visit Masca? Stunning views. Period. The location of the small village, 600 meters above the ocean, in between the steep mountains is just extraordinary. I read on the internet that it could have been a pirate village in the past, but it seems to be mostly marketing. 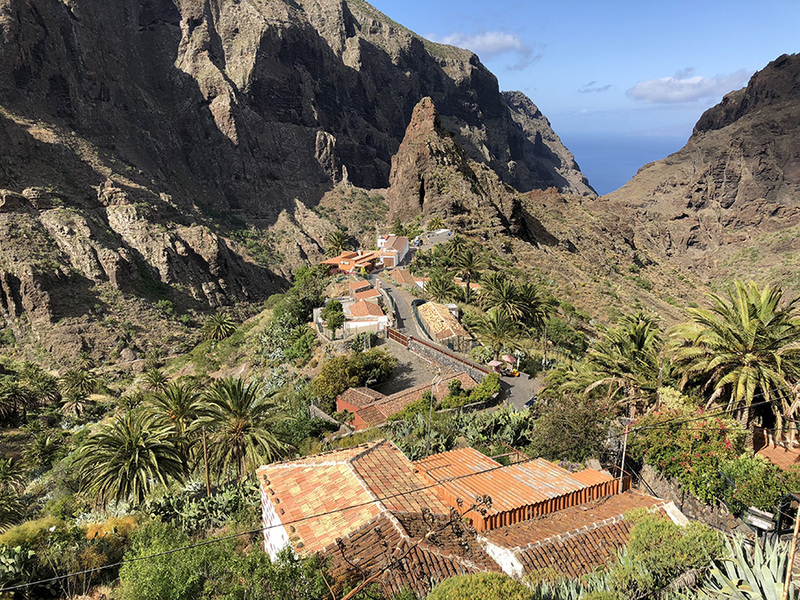 Unfortunately, I couldn’t find more historical information about Masca’s history, and I was left only wondering why people would decide to live in such a remote place. How to get to Masca? 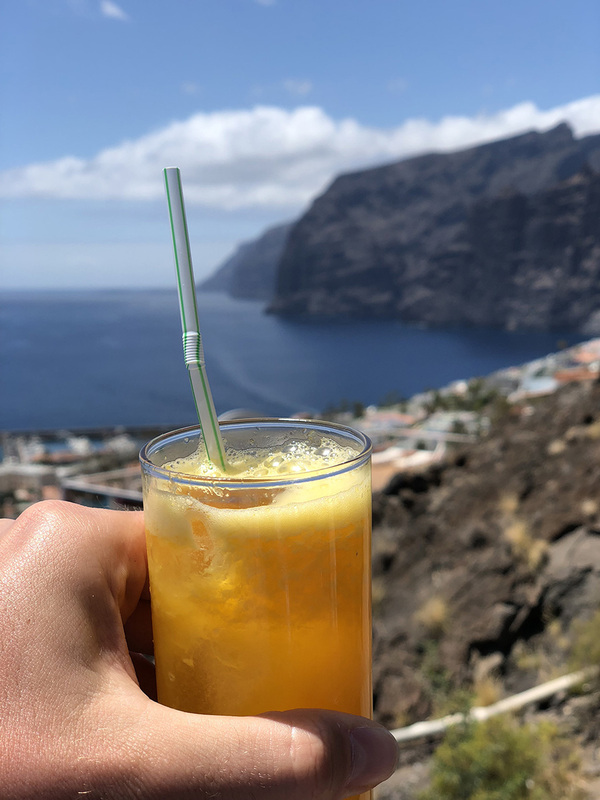 Traveling to Masca is experience on its own. The road is extremely narrow with lots of hairpin bends. 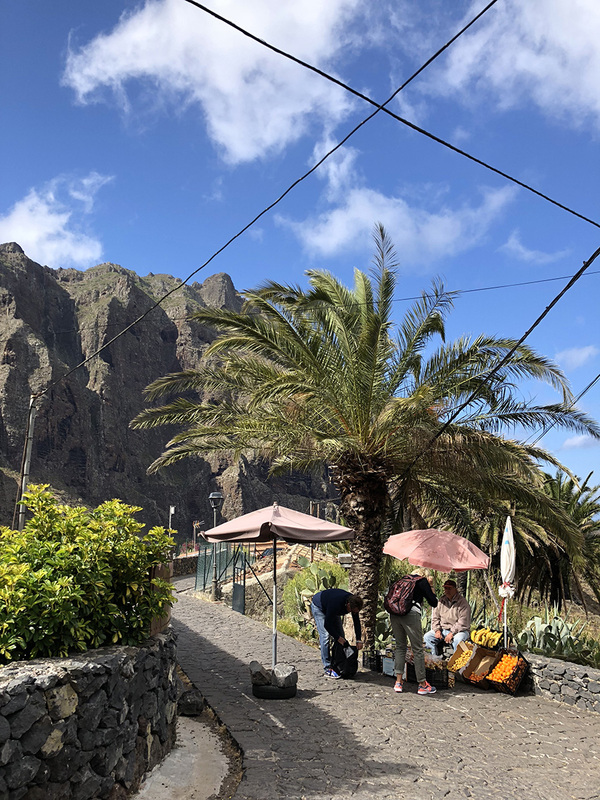 There are multiple ways how to get to Masca. Public bus, as a part of the trip by tourist coach or, as we did, by the car. There is only one road to Masca which goes from South to North. The ‘easier’ way is probably from the South. You turn left in the center of the Santiago del Teide town, and that’s where the tricky part of the trip starts. I like to drive, so for me, driving along the narrow road was part of the fun. However, we started our trip very early (9-10am), and the road was empty. I have to admit that I was happy about that. If you're not a strong driver and you are visiting during the highest season, maybe think twice before driving these roads. If you are coming by car, I would really recommend coming earlier. There is a good, free parking lot above the village, but the parking spaces are limited. When we arrived at 10 am, it was empty, but by the time we were leaving, after just a few hours, it was already full. 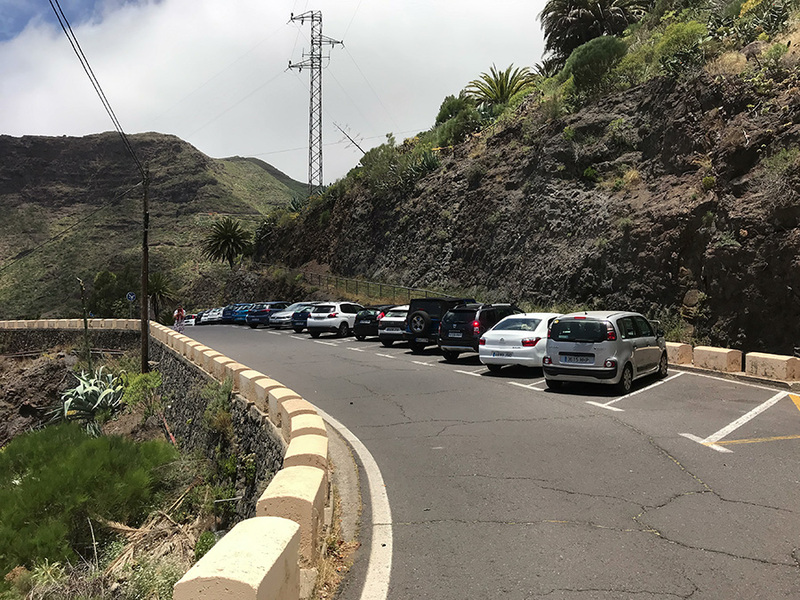 When we left I saw a few safari tour jeeps going down to Masca and you may want to avoid coming there at the same time. 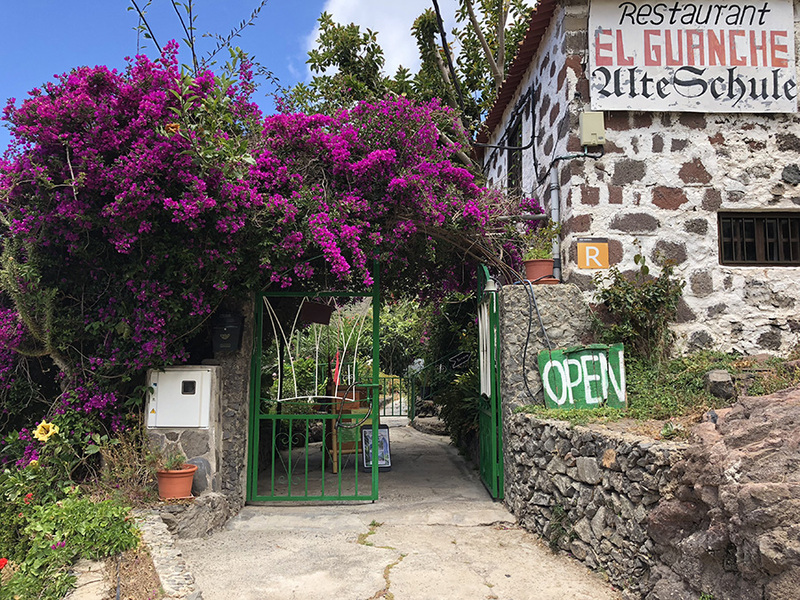 I read some great reviews for the Restaurante "El Guanche " Alte Schule. 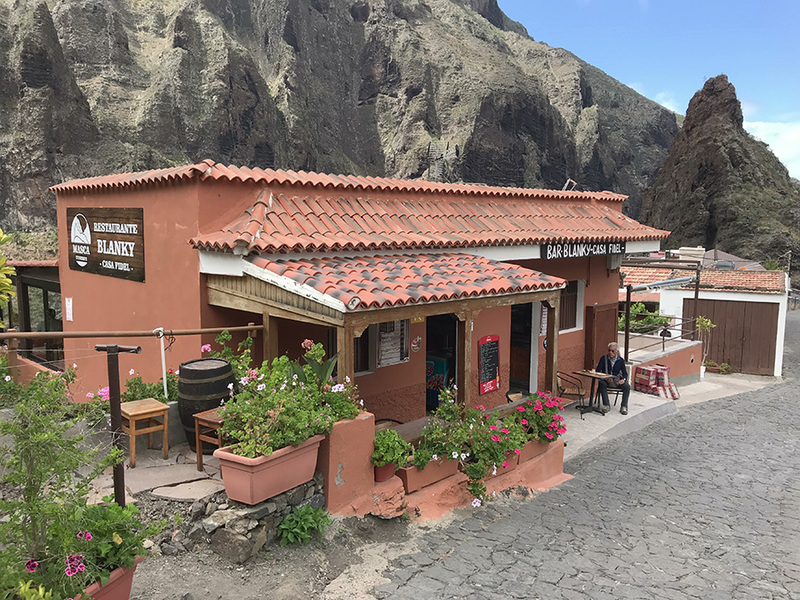 However, when we came to Masca at around 10 am the restaurant was still closed. Even if Google said it should be opened. So, we went to the Bar Blanky Casa Fidel first. To be honest, I didn’t have that high expectation, as it is on the main touristic path through the village. But, I was nicely surprised. 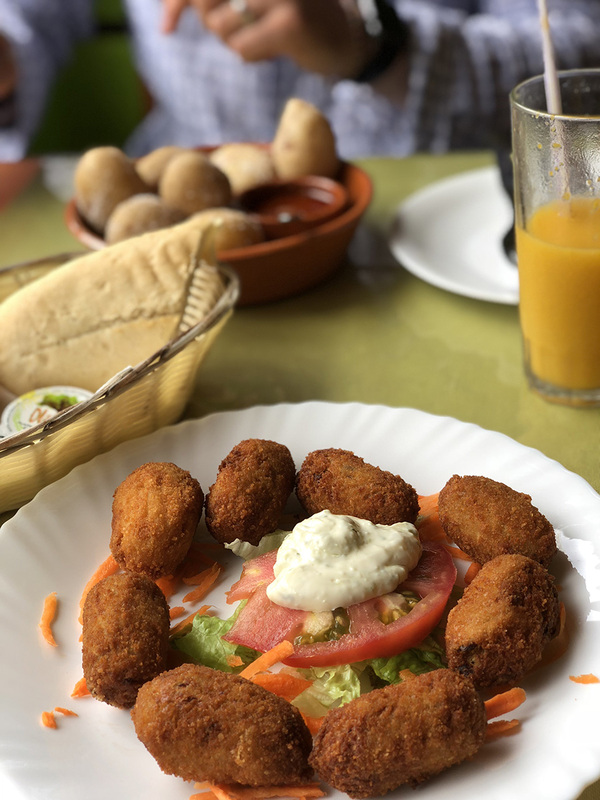 We ordered some papas arrugadas and fresh mango and orange juices and it tasted great and was very refreshing. 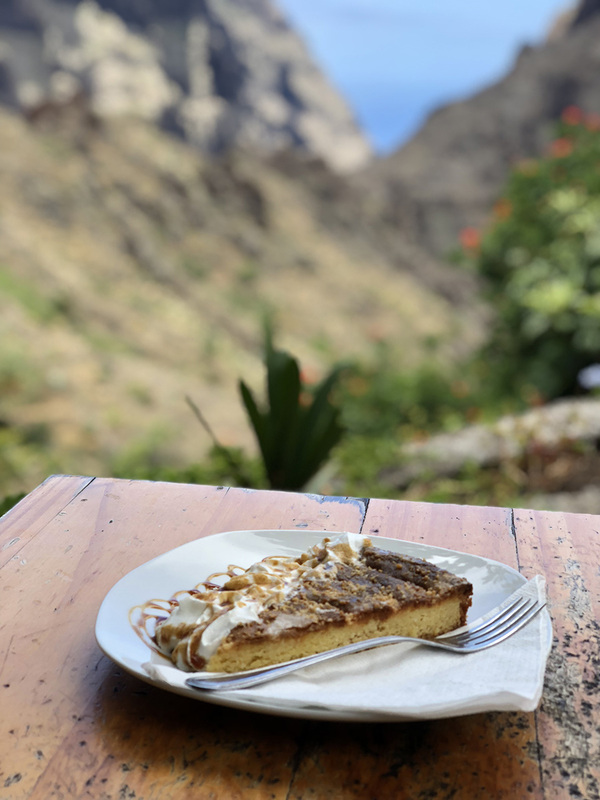 After that, I noticed that Restaurante "El Guanche " Alte Schule opened and we went there for some coffee and cake. The great reviews on the internet for this place are absolutely spot on. The restaurant has beautiful outdoor seating with spectacular views. 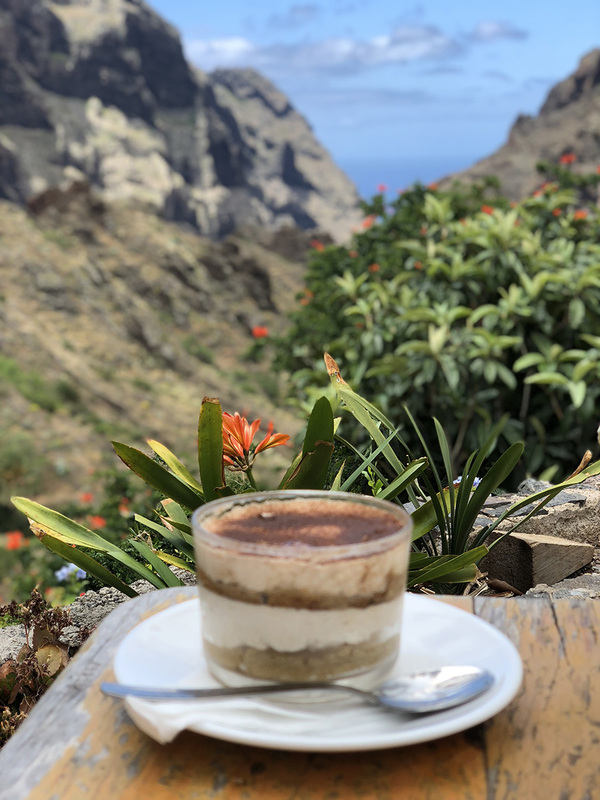 We went for the cake of the day which was Tarta de Santiago and the Tiramisu made with gofio which is the Canarian flour made from roasted grains. It was delicious. If the food is as good as their desserts then you definitely won't regret eating there. 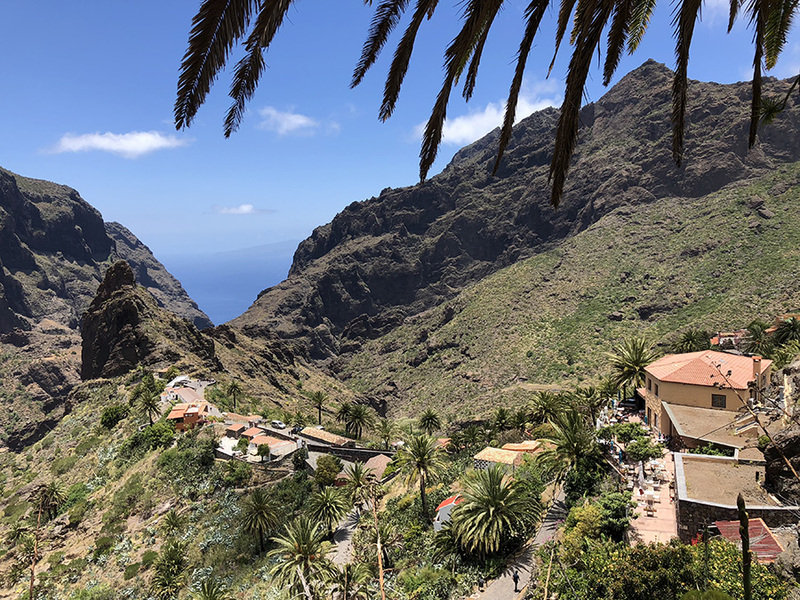 We didn’t go hiking in Masca, but people highly recommend the walk down to the Masca Bay. 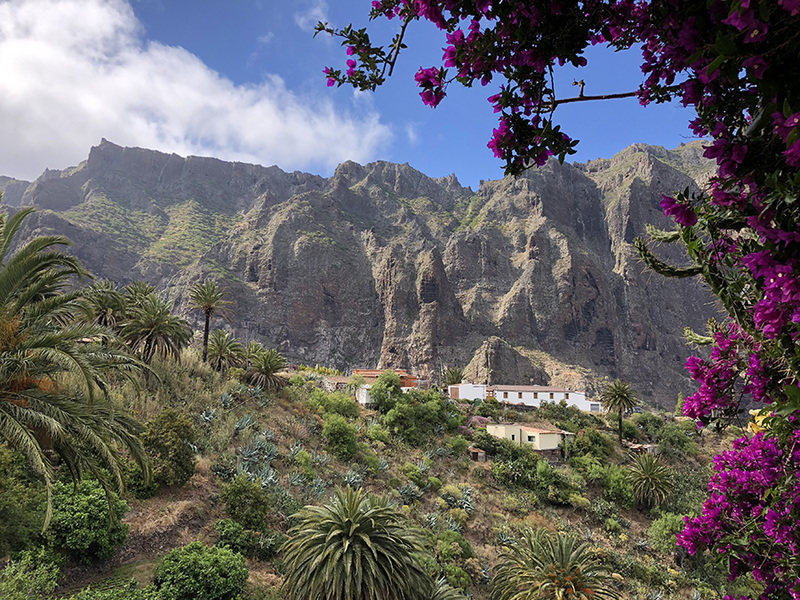 Apparently, it takes 3-4 hours to walk down to the beach from where you can take the boat to Los Gigantes or walk back to Masca village. 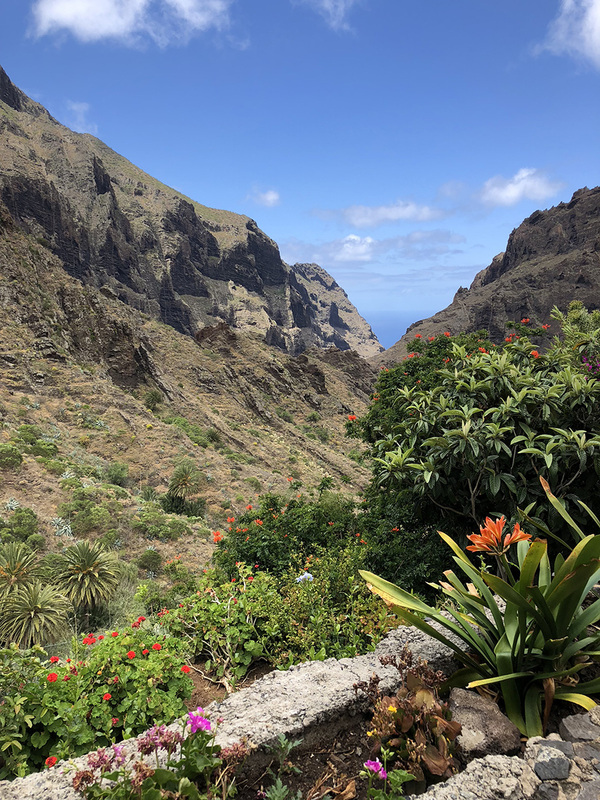 I might consider doing it in the future as the nature in Masca is absolutely spectacular. 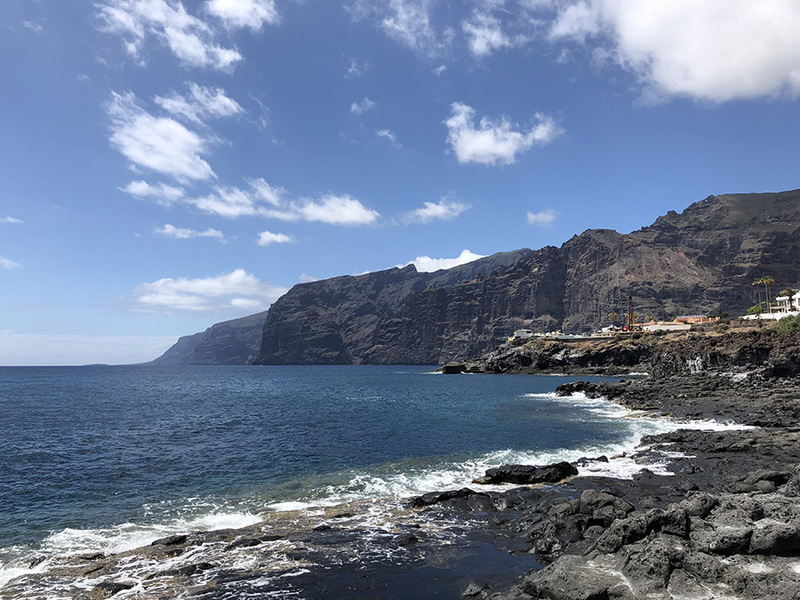 After the Masca we planned to go and see the Los Gigantes cliffs. 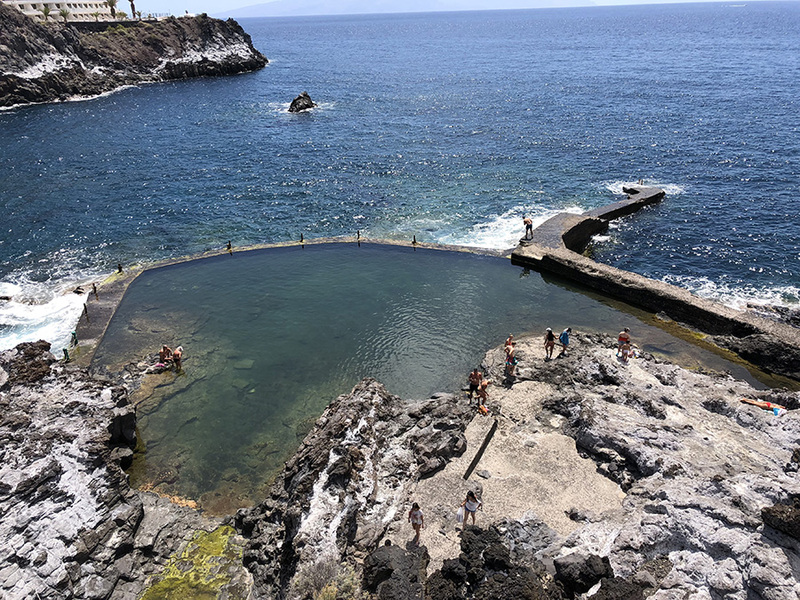 There is not much to do in the Los Gigantes apart from seeing the cliffs and trying the natural swimming pool. It was a perfect sunny day, so that was exactly what we did. 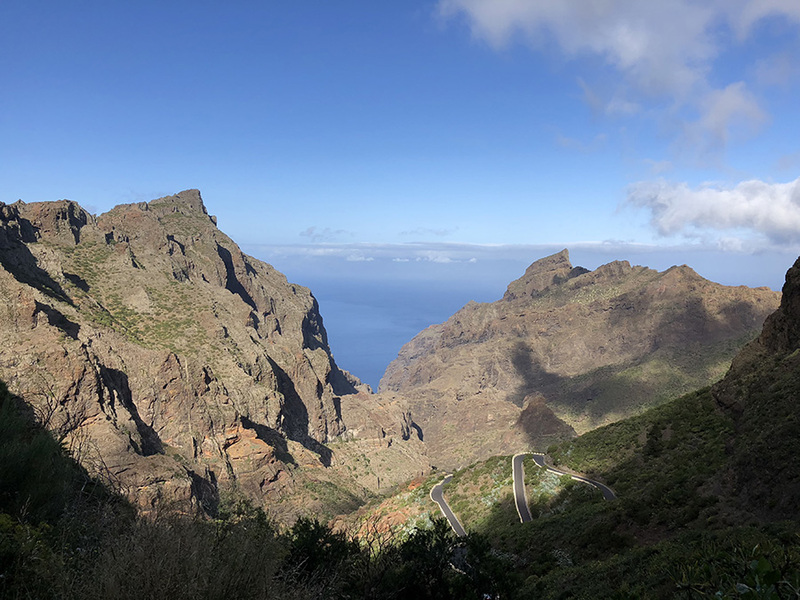 It takes around 40 minutes to drive from Masca to Acantilados de Los Gigantes. There is a beautiful viewing spot right before you come to the town, called El Mirador Archipenque. We had a quick orange juice in the bar there, enjoyed the views and continued to the natural swimming pool. Parking, close to the swimming pool was effortless. The natural swimming is a little bit rough, but it is part of my list of the best beaches in Tenerife. Mostly because of the magnificent views of the cliffs and because it is a great adventure. If you are with kids then you may prefer the Playa de la Arena where are more amenities and it's only a few minutes drive from Los Gigantes. In overall it was a fantastic day. Masca is just breathtaking. We were so overwhelmed with beauty that we also bought two ceramic pictures in the souvenir shop. 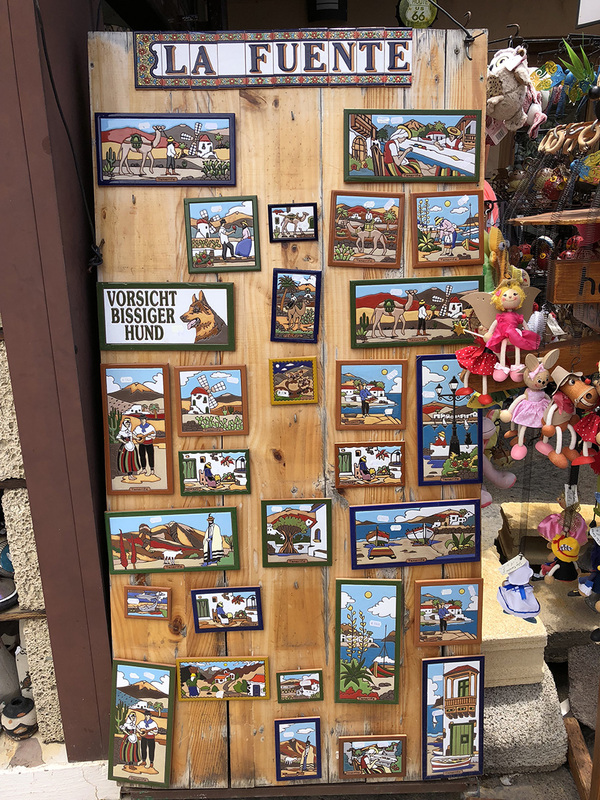 Although, I wouldn't usually recommend it because all items there have the high mountain surcharge and the price was a few euros higher than in other souvenir shops down in the Los Cristianos. But we did it anyway because it will always bring the memories. It's cheesy, I know. But sometimes, cheesy is precisely what you need.